Brain surgery is not rocket science to a brain surgeon. I started working on this post last week on general principal. Then I happened to find and tweet the linked article below representing the opposite, and what I will try to convince you is the completely wrong view of the same issue. No one controls the levers of opportunity and wealth over the rest of us, but the government is trying. Those who say otherwise are whiny, excuse driven losers. Historically there is tremendous precedent and justification for these sentiments in just about every other country in the world. But not here. In virtually every other form of government in history wealth and power were concentrated and controlled by the highest levels of government. In antiquity that was usually a monarch whose wealth and power were a birthright. A family’s class and social status were fixed by centuries of tradition. It was the very, very rare case that one could make significant class improvement. Descending was more common. It usually meant you offended someone of a higher class and were demoted from wherever you were to prison or death. This model perpetuated through the middle ages in one form or another and right into the 18th century. The class system created a very justifiable class envy, class hatred and even class warfare yielding events like the French Revolution. Monarchies are the ultimate example of small government. Forward to some more modern theories like socialism/communism which represent large, bureaucratic governments. 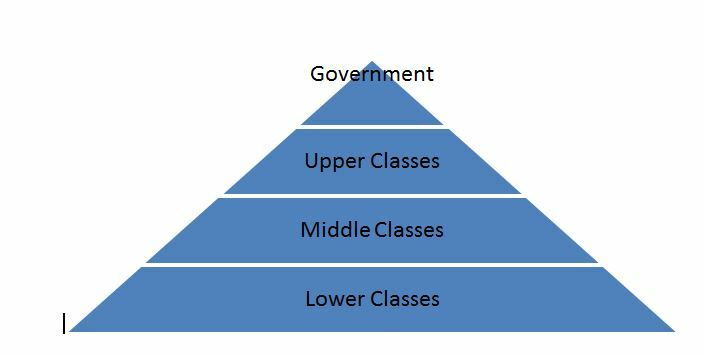 It is very important to remember societies built under either extreme form a pyramid of a very small percentage of a population on top controlling the rest below. It is unfortunate that the concept of class envy was imported to the new world because the fixed class system and oppression were not. What does it mean to ‘oppress’? It means to hold down. America was founded on the idea that no one is held down. Everyone has a chance to succeed…and fail. Not only does everyone have a chance to succeed and fail; they have unlimited chances to do both. There are as many riches to rags stories in this country as there are rags to riches stories. Even more, there are riches to rags to riches stories, rags to riches to rags stories and so on. Is the bar to success lower for some than others? Of course. No one should say otherwise. But how is that different among any species in nature? The biggest, strongest lions get to eat and mate first. The ones in the middle wait their turn, and the weakest die. Frankly, I like our system much better. You don’t have to be particularly smart, attractive, or strong to be successful. Just look at Congress! There is NOTHING unfair or unjust about our system. It provides more opportunity to more people than any system in the world. Many children of wealth and privilege fail. Many children of failed parents succeed. It is a simple matter of the will to try and never give up. That’s what America is all about. We started by beating unbeatable odds by winning a war against the most powerful nation on earth at the time. We have been beating the odds ever since as a nation only because every individual is encouraged to beat the odds on his own. No matter how we start out the odds of success are ALWAYS against us. No fortune is too big to lose, and no odds are too big to overcome. We the people of the United States of America are generations of the living proof! I won’t say I’m Armenian-American because I would NEVER say I am anything before American. I am second generation American born of Armenian descent. For all you P.C. name maker-uppers and upgraders out there who constantly distill words like retarded, to gifted, to special, to challenged, to special needs, etc. need to realize that synonyms mean the same thing, carry the same meaning and can be used interchangeably as the same punch lines. Please stop denigrating those you seek to shelter from manufactured denigration and, for God’s sake, realize not all black skinned people come from Africa! Americans are not repressed no matter how hard anyone tries to convince you otherwise. Disagree with me? Try this. Only two generations ago (circa 1910) my grandparents were among a lucky few to escape the then Turkish government-authored genocide against the Armenians that was to be the blueprint for Hitler’s attempted extermination of the Jews. (Special note: not all Germans were Nazis and not all Turks endorsed the party’s actions. Entire races or nationalities are never to blame.) My grandparents came here without money, possessions or any ability to speak English AND they were dark-skinned enough to be required to use the ‘colored’ facilities in the South. Once settled in Northeast Illinois my grandmother raised my father while my grandfather worked in the steel mills of Waukegan’s lake front. He lifted 300 lb. bails of steel onto trucks morning until night his entire career until he succumbed to colon cancer when my father was only 17. That left dad living in the ghetto with his non-English speaking mother, and no one else to care for them. My grandpa didn’t know much about succeeding in America, but he had learned one thing. Your best chance was college. It was the last thing he told my dad to do. My dad worked, took care of his mother, put himself through college, got a job, got married, built a house and moved to the suburbs. He had two sons, both of whom also went to college, received advanced degrees and are now raising families of their own in stability, security and happiness. Dad was only 30 years removed from war, genocide, illiteracy, immigration and poverty, folks. That is a story told by MILLIONS throughout our brief history. “But your grandparents weren’t slaves.” Actually, grandma was. The most demeaning, traumatic kind of slave a girl can be. Thanks for bringing it up. 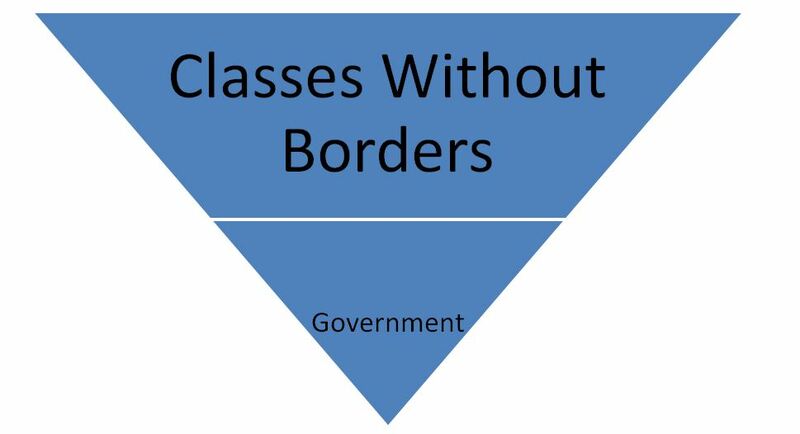 Name the countries that have provided this level of opportunity to the very lowest, most oppressed, most persecuted classes in the world since the beginning of time? Only The United States of America. ONLY THE UNITED STATES OF AMERICA! Anyone can try to get a job, try to start a business, try to improve their circumstance. I mean try. This is the land of opportunities not guarantees. No one can guarantee success or failure. We can, however guarantee an unlimited number of do-overs. Only the United States of America. There is nothing compassionate about creating dependence, as the progressives would have you believe. There are two kinds of “progressives.” Those who are truly well-intentioned, and those who understand the government-in-charge agenda, and take advantage of those who are truly well-intentioned. Today’s self-described “progressives” believe the control of wealth should be centralized to the government and distributed according to their assessment of fairness. Based on this model all those becoming dependent on the distributions become controllable and will vote predictably. It is a painfully simple and effective strategy for a government inconvenienced by the need of citizens’ votes. But think about that for a moment. The government controls wealth and power. The government decides who get loans for college and who doesn’t. The government decides who qualifies for handouts and food stamps, etc. The government decides what’s fair. Does this sound familiar? Liberal and Progressive are used as synonyms. The meaning of both has been perverted! Modern liberal theory is the OLDEST theory of government on the planet. There is NOTHING “progressive” about it!! Government in control of individuals. The United States of America is the first societal institution to place individuals in charge of the government. Capitalism was championed as a way for everyone to improve his circumstance based on any combination of luck, hard work and smart work. Now, that is progressive! And it worked! In less than 2 centuries we became the richest, most powerful nation on earth with a standard of living the world has never known. Do you realize what an accomplishment that is? We did in less than 200 years what competing societies could not and did not want to accomplish for human rights and standards of living in spite of thousands of years head start. For those who think the U.S. is mean, greedy, unfair, oppressive, etc. I don’t see you folks getting on make-shift rafts or sneaking across war torn borders at risk of death to get where you think it is so much better. Are you prepared to tell all those truly downtrodden people across the globe still risking their lives to get here to stay home? Are you prepared to trade places under temporary terms with any of those people so they can see how bad it is in America? Go ahead. See if they trade back. Are you prepared to tell my grandpa and grandma they were wrong? Our Founding Fathers, for the first time, put the people in charge. They inverted the pyramid and created a place the truly repressed of the world have, do, and will always risk everything to get to. Do we have classes here as the competing author above suggests? Of course. What he fails to realize, understand or admit is that our classes are not locked. They have no ceilings above and no safety nets below. To suggest otherwise is a slap in the face to all those who have successfully crossed between them. I doubt you’ll find “YUPPIE” in a Libyan dictionary. If you were born here be grateful or trade places with someone who would have been. Are we perfect? Of course not. There is no such thing. But we are a lot closer to perfect than systems that have the very privileged few, elected or otherwise, controlling the rest. Don’t insult all those who have risen from lower or discourage those who are trying to rise. Class envy does not fit here. Success, class, and wealth are very personally defined. Some consider themselves “wealthy” if they can pay their bills. Some consider themselves “poor” if they can only afford a Porsche and not a Lamborghini. The beauty is that neither is wrong in America! You are free to pursue YOUR ideal definition of class and standard of living. You are not subject to someone else’s idea about how well you live. But they’re trying!!! To disparage capitalism and our form of government is to assume you are smarter than our Founding Fathers. You’re not. They didn’t start a company. They founded a successful nation. If you still think your idea is better go start your own country then give us a call in 200 years. Let us know how it’s going. Opening with the usual caveats of not attempting political commentary I always point out that ideology drives policy and policy drives economics. It is, therefore, impossible to opine on one without regard for the other. There are many Republicans who do not embrace the Tea Party and there are many Democrats who do not embrace the Obama administration so, while often used interchangeably, I always consider it important to acknowledge there is a spectrum of political opinion that does not always fit neatly within the Democrat/Republican liberal/conservative box. Anyone who does not know that I am squarely in the conservative, low taxes and small government camp has never read my stuff. That said, I make clear my observations and conclusions are based on real-life cause and effect analysis of current and proposed policy on consumer mood, employer sentiment, economic health and the investment and business climate. How do I claim to not be making direct political commentary in spite of my earlier self-identification as a conservative? Simple. I don’t care what works as long as it works when it comes to policy. I believe in every American’s right to life, liberty and the pursuit of happiness. If a part of the pursuit of happiness includes wealth building through profit that’s great. I loathe the vision that all wealth was ill-gotten when it is the least common of all wealth. I despise policy that creates dependence disguised compassion, discourages independence under accusation of greed and the notion that elected officials I’ll never meet are more qualified to distribute my hard earned wealth than I am. As promised, an article I tweeted out on April 4th, 2011 has prompted a blog post. As those who follow me on twitter know I read a lot of content. I tweet out content I consider to be particularly relevant, informative, entertaining and, often the most extreme form of entertainment, the hyper-stupid. Like everybody else I react personally to much of what I read within a spectrum of pride, enrichment and gratitude to exasperation, anger and disgust. I think this is the first time I have been moved to write what amounts to a response. Believe me, the bar was high but this article tied so many bad concepts into such a neat little package I just had to unwrap it. The link to the article is below. While it is not very long my digest follows for those who don’t have time/care to read it in full. G.E.’s LEGAL non-taxable status for 2010 in the face of a worldwide operations profit is a…wait for it…A SCANDAL. The article above is the author’s response to the parent article in the NYT. In short the author argues that the problem of multinational corporations not owing U.S. taxes legally cannot be solved by raising taxes on the multinational corporations. They are, after all, too big and rich and important to fight with. We should, instead, raise taxes on those who benefit from corporate profits. In other words US! We weak, nasty, greedy but easy-to-pick-on investors who receive evil profit driven dividends and capital gains should be made to pay for the non-taxable profit sins of the corporations we have the nerve to invest in. 1. The author moans that Jeffrey Immelt, G.E. C.E.O., was named to head the President’s Council on Jobs and Competitiveness. When did it become a prerequisite for a savvy business leader to MAXIMIZE the tax obligations of his company? A good executive hires tax staff to LEGALLY minimize the tax burden of a company. It is an essential part of remaining competitive which makes it essential to staying in a position to keep and add employees. Has our author forgotten about the payroll tax G.E., and all employers, are penalized for every paycheck they issue in this country? 2. Here we reach levels of idiocy often reserved for Biden sound bites and rarely seen in print. He refers to a capital gain rate of 15% as “a giveaway” to the rich. Let’s start with ‘rich’. Rich is arbitrarily defined by whomever is using the word. This intellectually bankrupt baboon (apologies to all but the dumbest baboons) appears to define ‘rich’ as anyone who buys stock. Is the rate of 15% ridiculous, as he suggests? Yes. But it is ridiculously high, not low. Corporations do not just hand out dividends. In order to reap a capital gain or dividend you must invest in the company. You must buy stock. That means you have to RISK YOUR OWN MONEY. How is the government justified in taking 15% of a return you made at your risk? If the stock drops to a loss or the company cuts or suspends its dividend (AT&T, LU, ENE, etc) does the government turn around and offer to offset your capital loss by 85%? Of course not. They are willing to confiscate a double digit portion of your gain but want nothing to do with your loss. Oh, you can use that loss to offset other income, you say? That is the same as casinos boasting a 97% slot payout. Many gamblers think that means they make money. It means you can count on losing 3 cents per dollar. The government doesn’t take risk, share risk, mitigate our risk and always comes out cash ahead. A give away? No. A giveaway is what government does with our 15%. They give it to those who do not invest in order to create dependence. That is where the outrage should be. That is where the scandal is. Now, about his assertion that the wealthiest 1% get two thirds of the dividends and capital gains. Why would that be true? Because they put the most at risk. They also suffer two thirds of the losses. No baboon tears here? So, the top 1 percent is not a lot of people. The rest of us number A LOT of folks who count on capital gains and dividends for everything from wealth building to college tuition to groceries. We can’t go make a safe 15% on anything. But the government should be able to take 15% of our risk based return and decide how to spend it on others who take no risk at all? OK, apologies to ALL baboons. 3, 4, 5, 6. Perhaps, medication… Our hero opens paragraph 3 by separating 2 “problems” identified but muddled in the parent NYT article and then spends 4 and 5 showing that they are not problems…for thinking people. I will give him credit for using a compound word (footloose, para. 6). To this guy, anyone who receives dividends or capital gains is rich, legal domestic tax minimizing strategy is a problem and wise financial policy of legally shifting profits to the lowest rate jurisdictions is something that needs to be dealt with. Based on his ‘thinking’ we need a law enforcement crackdown on those who turn right on red after coming to a complete stop. 7. Here we actually benefit from some observations that I would make. Analysis and conclusions, however… So, don’t try to battle the big multinational corporations because they are vital to domestic and foreign innovation, economic growth, investment, stability and employment. Hey, their ability to continue to provide and enhance domestic and foreign innovation, economic growth, investment, stability and employment is based on their ability to generate ever-increasing profits, DUH (pronounced ‘DUH’). 8, 9. I do not agree that we should cut the corporate tax rate. We should eliminate it. Why? Because then all multinational corporations would clamor to be here. Why would it be good to have all those money-grubbing, greedy, evil, nasty corporations here? A decent offset to the aforementioned (talked about earlier, Mr. Samuelson) adjectives (words used to describe other words, Mr. Samuelson) would be things like domestic and foreign innovation, economic growth, investment, stability and employment. To listen to this guy and those like him you would believe there are two pools of people out there: those who benefit from corporate profits (all rich) and those who are precluded from benefiting from corporate profits (all repressed and poor). It’s simply not true. ANYONE can invest in stock, take risk, share in upside and suffer from downside. It’s all relative. One man can afford 1000 shares of a stock that pays 5% and another can only afford 1 share. They both took risk relative to their means and both make the same 5%. What the hell did the government do to justify getting any percentage. Why do we get zero if risk moves against, 5% if we are successful but the government gets 15% of our success? How can we argue that lowering the corporate tax rate encouraging other corporations to come here and then soaking the people who ‘benefit’ from the corporate profits will stimulate anything? THEY ARE ALL THE SAME PEOPLE. Don’t you get it? Stock in large corporations is part of the compensation package. 401(k)’s, retirement packages and pension funds all invest in other corporations. Individuals invest in stocks in their personal portfolios. The people who work for the corporations (yes, even top management are just employees) all benefit from a successful company. The more profit the more employees, the higher base pay, the more raises, the more bonuses the more dividends the more investors and on and on and on. The lowest level employee of any company can advance to the highest level of management with the proper motivation, performance, experience and education that the company will often PAY FOR. Taking a ridiculous percentage of financial reward earned by any combination of hard work and risk is a disincentive to work hard or take risk!! If you follow my tweets and posts I won’t need to make any comment about the economists (experts) referenced at open of paragraph 9. These are the types of ‘experts’ who keep telling us that increases in the cost of food and fuel shouldn’t count as inflation. 10. The first statement of paragraph 10 is silly, unsupported and unsupportable. Then claiming that harming the economy by raising rates is not supported by history is a distortion similar to saying Don smoked for 30 years but it didn’t hurt him ‘cuz he didn’t die of lung cancer. The stupid-amity to suggest that a 15% tax rate on hedge fund returns amounts to a subsidy that encourages “paper investing over real production” is beyond comprehension from one who endorses larger revenue streams for an institution, government, that produces nothing. All a government can do is consume. The only contribution to production is what it pays to the private sector to produce. Now, how about those ‘unproductive’ paper assets? Those paper assets are a favorite collateral of lending institutions whose capital our citizens and corporations rely on to continue to provide domestic and foreign innovation, economic growth, investment, stability and employment. Just for the record, a corporation is just a piece of paper. It is the morale, culture and performance of the people who work there that drives its value. These are the people our illustrious author and his trusted ‘experts’ recommend we penalize for working in a coordinated effort to help the overall company produce profit and, thereby, enhance their own opportunities for advancement. 11. Neither issue is scandalous, lowering taxes on one entity or group and “making it up” on another entity or group is the same net effect, disincentive. To help the economy, simply reduce regulation, reduce taxes on everyone and everything, encourage the pursuit of profit and keep the government out of the way. That is how America became the richest, most powerful nation on earth in less than two hundred years. A remarkable feat accomplished not by well financed government, multinational corporations or economists theories floating out of cubicles. It was accomplished by individuals who were told that the reward reaped by their risk and work was theirs to do with as they pleased. What they pleased was the highest standard of living the world has ever known. People who bear less intelligence than creatures lying on their backs at the bottom of ponds should try to keep out of it and let the rest of us carry the load. Apologies to all creatures lying on their backs at the bottom of ponds.